Sweet voiced indie band in the same vein as Jack’s Mannequin. Wisconsin natives, Little Bribes, is a perfect cookie cutter mold of some of the most popular indie bands today. With their sweet voiced vocals, reminiscent of Andrew McMahon of Something Corporate fame, plus the acoustic electronic touch just like Ben Gibbard’s crew; it’s hard not to fall for Little Bribes. The self titled debut album is packed with 11 indie pop tracks that makes for a great soundtrack to your everyday life. Although some songs could use professional quality recording, the album is pretty tight for an unsigned group. Initially, Little Bribes was formed as a duo of Keegan Calmes on guitar/vocals and Chris Senner on piano/vocals; however, they added Nick Cesarz on drums/percussions to help complete their lineup. The crew admits to being influenced by groups like The Killers, The Format and Bayside. Unlike most bands that usually live in the same geographical area, the band members actually live far from each other. They create music and songs with the help of the net, sending demos, samples and recording online, creating the music that you hear now. I guess, in that sense, it’s sort of forgivable that the quality isn’t exactly as tight as it should be. Nevertheless, the music the trio has come up with is still pretty good and easy to listen to. As for their tracks, “Denver” is probably one of the best cuts out of the entire album. The recording quality is also pretty good. Vocal work, as mentioned before, might make you wonder whether this is Andrew McMahon moonlighting for another band again. Despite the familiar sound, the track has its own distinct personality. It would serve as a nice background music for a relaxing, long drive. 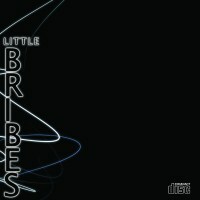 On the other hand, title track “Little Bribes” is a melodic ballad that’s worth listening to as well. Although recording quality may not be top par, Little Bribes does offer several really good cuts that are worth every minute of your time.